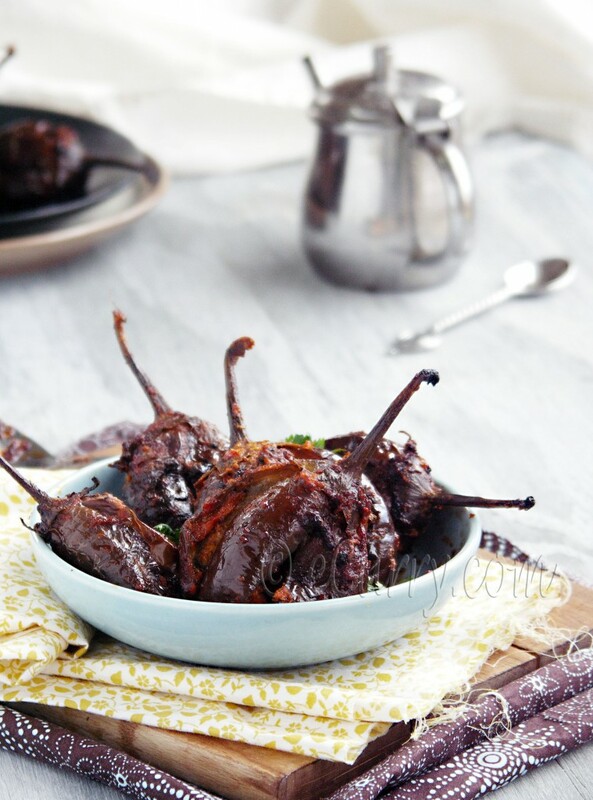 Spice stuffed eggplants. What more can I say? There are some vegetables we would not mind having every day of the year and eggplant is one of them. There are so many ways to cook them, and every one of them is delicious beyond words. 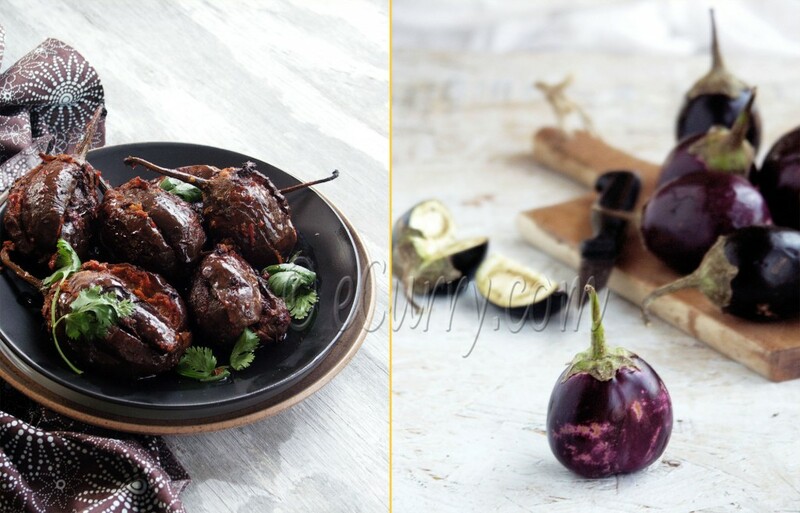 Every cuisine around the world offers some kind of stuffed eggplants. Some are stuffed with meat, some with tomatoes, some with cheese and herbs – the possibilities are really endless. 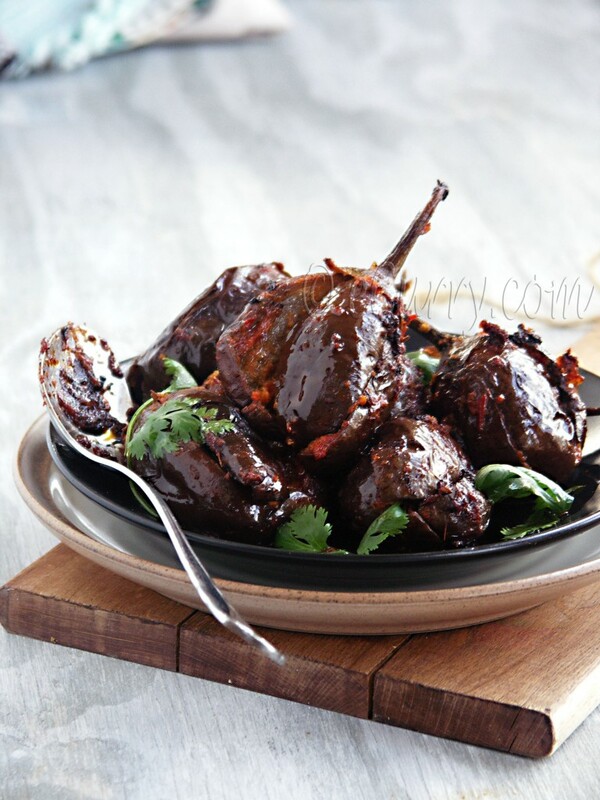 In Indian cuisine, there are different versions of stuffed eggplants. Most of them are vegetarian and mainly spice stuffed. 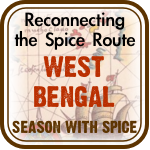 But it is the spices that vary from one region to another and they really are all unique in their tastes, texture and flavors. A’s mom makes a kind of spice stuffed eggplants and among all of her wonderful recipes, the stuffed eggplant is something I really heart! It is a truly marvelous, indulgent dish, but also the one which uses a whole lot of oil. The pool of oil it is cooked in is the reason why we do not have it as often as we would like to. Every now and then, I have tried to work around the recipe using less oil, but the dish resists any adaptation. It just won’t taste the same. Well it is a recipe saved for special occasions and for when A really wants to have it; it definitely is not an everyday kind of dish. So we make ourselves happy with this kind of stuffed eggplants. I have raved about Harissa before, and I will do it again here. 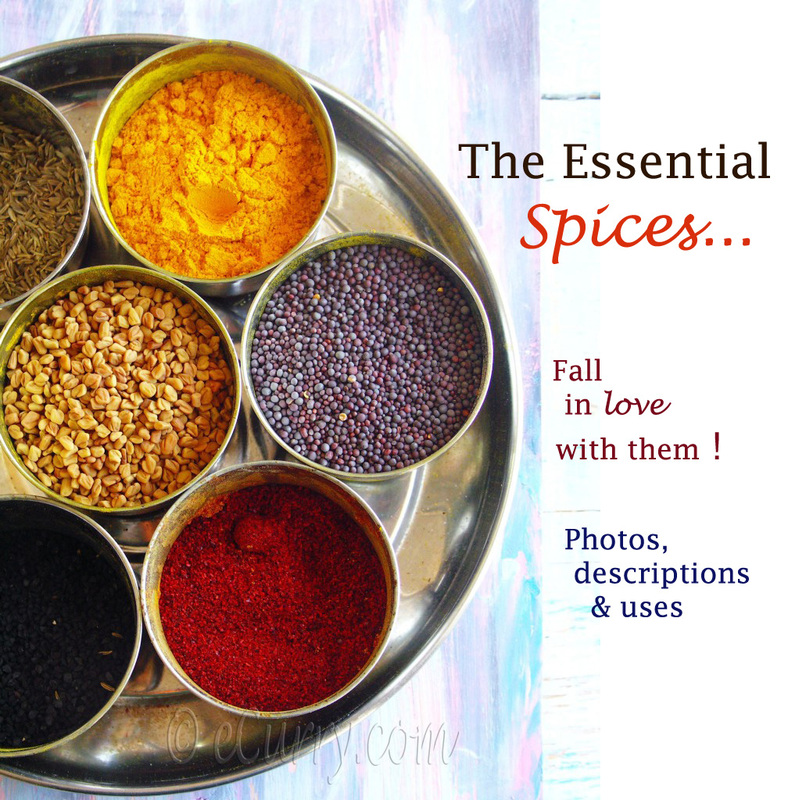 It is one versatile condiment which makes practically anything taste good. We came back home with these cute little eggplants from the Asian market. The little round ones are not easily available in the everyday grocery stores. As I pulled out these tiny eggplants from the bag, I suddenly thought of stuffing them with harissa and pan roasting them. 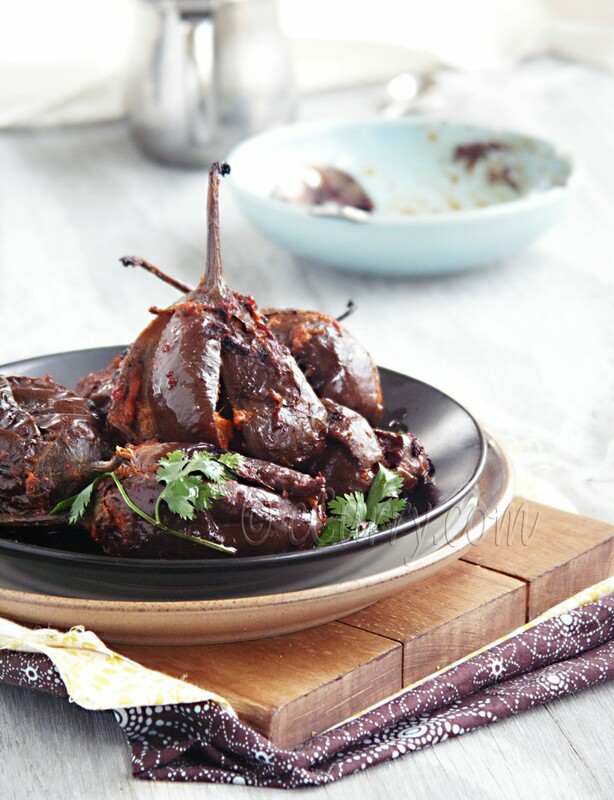 The flesh of the eggplants get infused with the flavors of garlic and the spices as it softens while cooking. There will be some spice mix hugging the outside of the eggplants. A simple and seasoned lentils on the side and may a cucumber tomato salad or some yogurt along with these stuffed eggplants would make a perfectly comforting meal. Serve with Parathas or any flatbread or over rice. * Note: Harissa is very very spicy. If you do not want it much spicy and still like the flavors, you can use peppers after removing seeds while making the Harissa or use the paste in less amount to stuff the eggplants. I would like to suggest removing the seeds and making the Harissa less spicy; that way you have the good of both worlds. 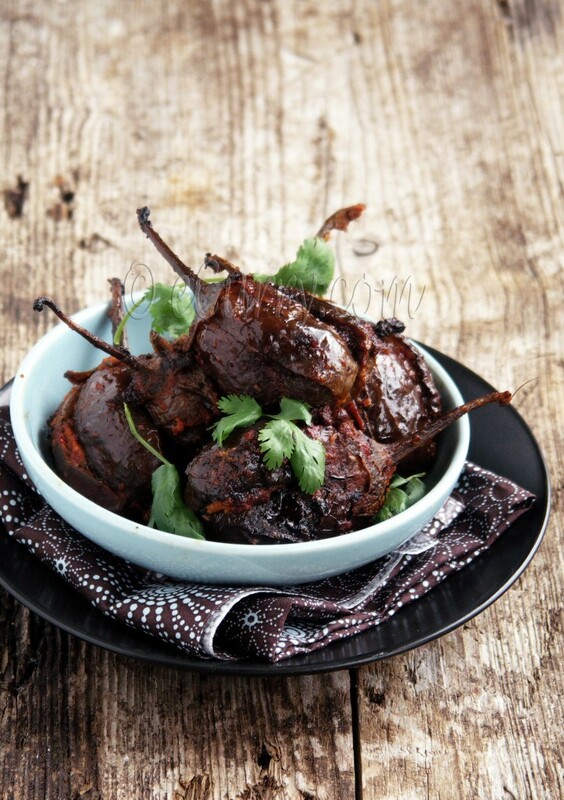 Combine harissa, ginger paste, 1 tablespoon coriander powder, salt and tomato paste and 1 tablespoon water. Wash and pat dry the eggplants. Slice through each eggplant into half stopping where the stem is. Do not slice through. Make another slice in the same way but making a cross with the other slice, and slice only to the stem. Soak the eggplants in salted water for about 15 minutes and then carefully squeeze out as much water as you can without breaking the eggplants off from the stem. Heat oil in a pan. Lower the heat when the oil is hot. Take each eggplant, fill in with the above mix of harissa, ginger and tomato about 3/4 tablespoon in each half of the eggplant. If it spills over it is okay. You want the spice mix to flavor the inside of the eggplants. As you stuff each one of them, place each eggplant in the hot oil in the pan one by one. You will have some extra spice mix left. 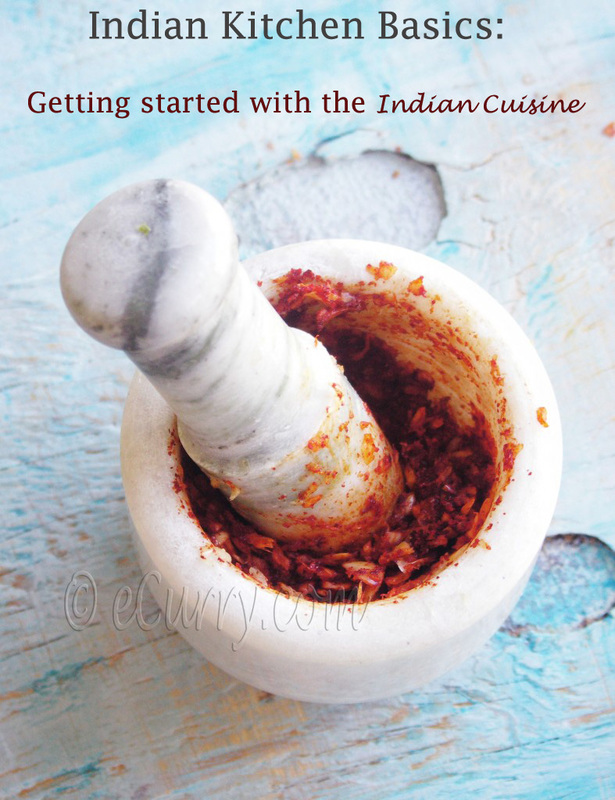 Combine the rest of the coriander powder, 1 tablespoon of oil and the rest of the water with the mixture. Set aside. Once all the eggplants are placed in the pan, switch the heat to low and cover the pan. Cook until the eggplant softens a bit. Turn each eggplant over, so the cook on all sides. Drizzle over the extra spice mix over the eggplants evenly and cover it back. Cook at low to medium heat while occasionally turning them over, and scraping off any spice mix from the pan, until the eggplants are tender and cooked through. Uncover and cook if there are any leftover liquids, until the liquid evaporates and it is where the eggplants are cooked with the spice mix coating the eggplants. Garnish with chopped fresh cilantro/coriander. Serve warm as a side. Sending this to Lisa’s Celebration of Indian food. 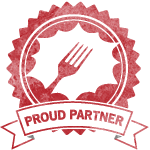 February 15th, 2012 | Category: Dry Fries, Sides & etc. Eggplant says to pick them up..looks irresistible. I love egglplants.. way too tempted. Wow…love that stuffing….recipe looks die for…. Fabulous! That is one tasty dish. I really love the last pic. I am not a huge fan for dishes made with eggplant. Since childhood I will try my best to avoid it, may be because of its slimy texture. But your pictures have made me crave for a bite. Gorgeous clicks! That looks delicious Soma!! I love baby eggplants and miss them so much here in Lubbock 🙁 And harissa with eggplants is just super duper yum! And I also wanted to thank you for the advice on the wooden boards, I did visit Home Depot and Lowes and found some nice ones, though not in the scrap bin. Got some stain and acrylic and I’m making my photo backgrounds now 🙂 Thank you once again, you rock! First time in ur space n I absolutely loved it…..this stuffing is new to me…looks very delicious…will definitely giv this a try…..following ur space…do check out my space sometime! Soma, you beautifully managed to pair two of my favorite ingredients and made this delicious dish! I’m drooling over the pics! you have some leftovers? I am coming…. Why do I crave Chinese food after reading this post? Hmm! Hi there, tried your recipe for harissa eggplant. It was yummy and great. The best part it was easy and simple to make. Thanks for the recipe. 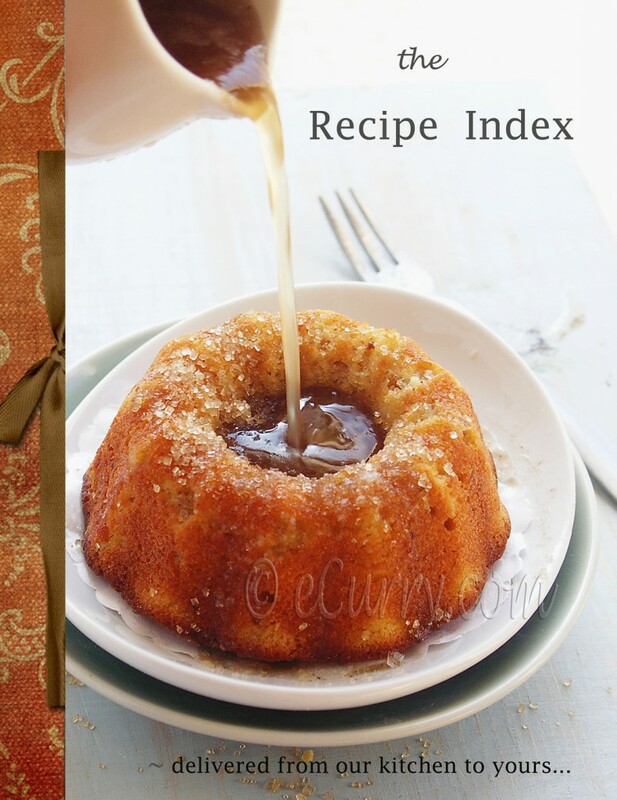 Gorgeous recipe Soma!!! Must try with Harissa .. my mum used to do a chili and peanut version. I love eggplant and it is a much used vegetable in our own local cuisine. 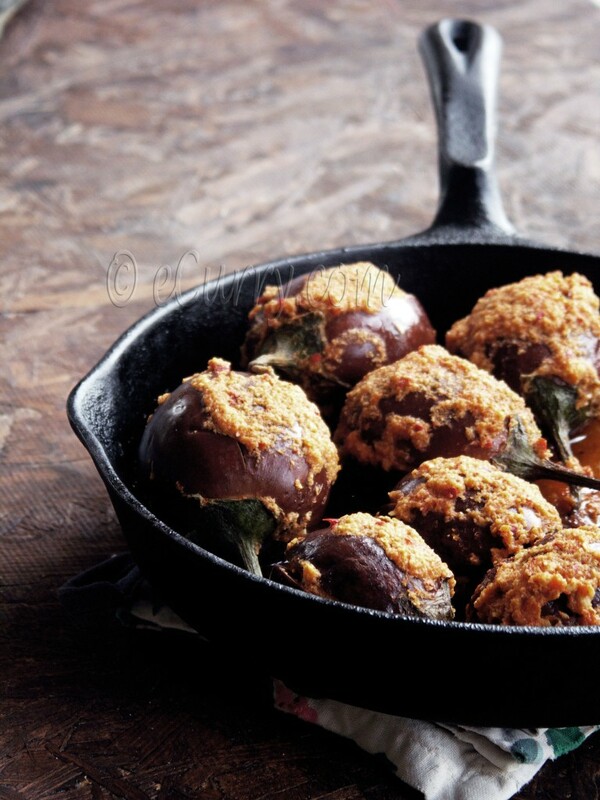 Love your version of stuffed eggplants! I will try this soon! my goodness, that looks divine, soma! i used to avoid eggplants as a child – made my mouth itch. but i love them now. as much as i love harissa. so i must bring them together! Do drop by my space. Would love to hear from you! 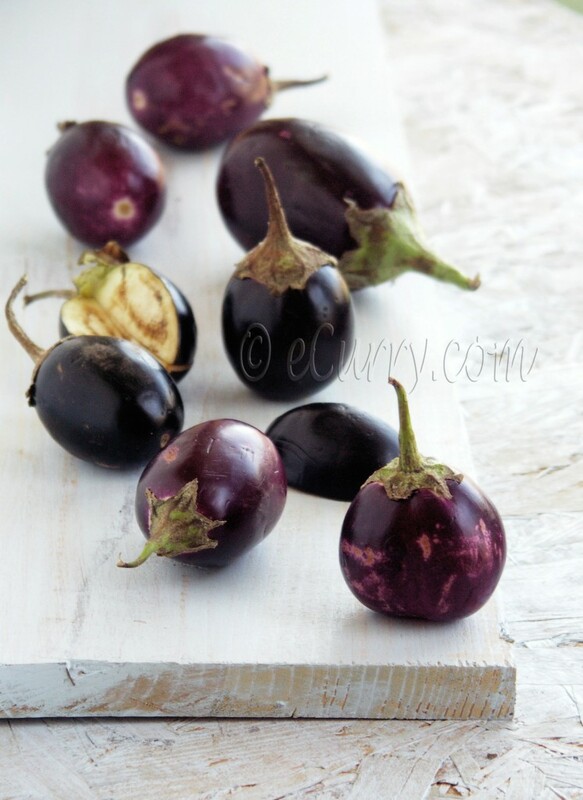 I hardly get this little eggplants here “sad” till i go India i will drool seeing picture!! I have never eaten eggplant before but am growing it in my garden this year. Now that I am ready to harvest some, I can’t wait to try this recipe! Soooooo yummy! Made these as a starter for a dinner with friends last night and it was a hit! Served alongside poppadums and the crunch of the poppadums with the silkiness of the eggplant was a great contrast in textures. Made extra harissa si U;kk definitely be doing this one again soon. Thanks! This recipe was truly amazing cause i never been did a cook like that in an egg plan i mostly mix egg plant in my other vegetable recipe.Aside from being a cook i am also a architect in Finland and we are developing now a real estate which going to be interested this 2014 and this eggplant give me a lot of idea for my design.